Simien Mountains photo courtesy of Awaze Tours' client Ron Bugaj. Awaze Tours is an Ethiopian Tour Operator offering a variety of tours that highlight the country’s indigenous cultures, fascinating history, and natural wonders. Awaze Tours organizes custom tours for groups of any size and pre-set itineraries that individuals may join. With friendly, safety-concious drivers and multilingual, experienced guides, Awaze Tours is committed to giving you a better understanding of the Ethiopian people and Ethiopia's unique history and cultures. St. George Church, Lalibela. Photo courtesy of Awaze Tours' client Adrian Whear. The Ethiopian people are renowned for their generous hospitality and vibrant culture. Awaze Tours’ priority is that every client experience this firsthand for a memorable tour. We are available to promptly answer your questions. Venture off the beaten path and explore one of Africa's most fascinating and least visited destinations. ​Medieval castles, churches hewn out of solid rock, ancient temples, and nine UNESCO World Heritage sites (more than any other African country) Ethiopia is the perfect holiday and tour destination for travelers of all ages. At the crossroad of ancient trade routes, and one of the world's oldest nations, amazingly Ethiopia was never colonized.
. . . and injera, Timkat, shoulder-dancing, azmaris, coffee, kitty, hospitality, Rift Valley, gursha, tej, . . .
A man from the Oromo region dressed in ceremonial clothes. 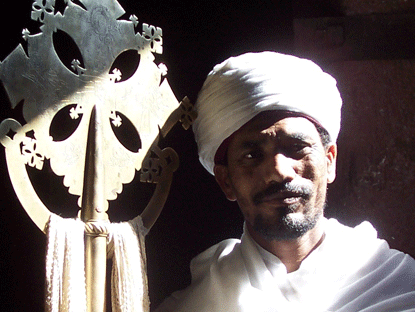 Priest of the Ethiopian Orthodox Church. 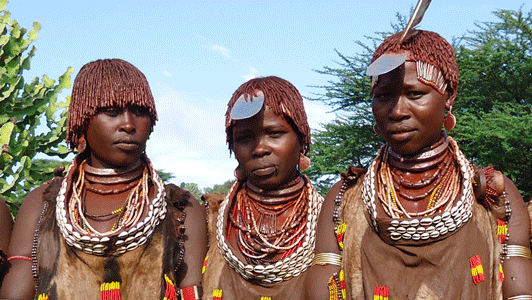 Women of the Hamer tribe in the Omo Valley. More than 80 ethnic groups speaking 90 languages reside in Ethiopia. 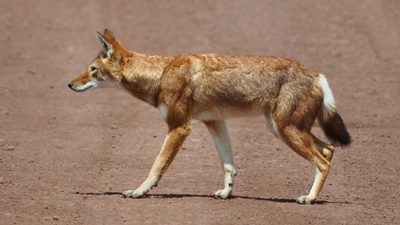 The rare Ethiopian Wolf: Ethiopia's highlands are home to at least 20 species of mammals and 30 species of birds found nowhere else. 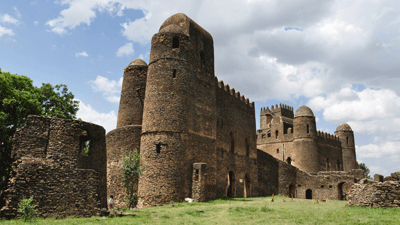 Gondar's Royal Enclosure: the capital of Ethiopia's kings. Ethiopia has nine UNESCO World Heritage sites, the most of any African country.